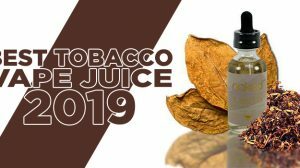 The VAMO is an Advanced Personal Vaporizer – which includes an OLED screen, a very simple menu system, along with a few other advanced features that are built into the device – like the ability to control your vape with both variable voltage and variable wattage. 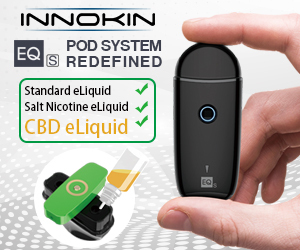 This device has become popular to many because of its low price and its ability to be used with the more common 18650 battery, or taking out the extender on the body and making it into a “mini”, thus using an 18340 battery. There are a few options of what batteries you can pair with the VAMO and I think that’s one of the major key factors to this device. The Vamo looks very simplistic and sleek – nothing super spectacular about the looks and that is why it’s hard to say anything bad about it. It’s simply a normal chrome tube. Starting from the top, you have an eGo type 510 connection surrounded by a huge drip well. I like the idea of the drip well, but it seems a bit tight, so cleaning it out could be aggravating. Below that and on the body is a line going around the device where it looks like the top cap or drip well piece would be thread into the head of the unit – however, it is once piece and can’t be disassembled. The fake threading line is just for looks and these lines are carried throughout the device along the body. Just under that top line sits the Vamo’s OLED screen. The outer lens of the screen is a bit cheap. The lens isn’t positioned well in the cutout (I can feel the edge on one side and the other side I can’t) and it moves with a touch. The screen itself looks fine, very easy to read and well lit. Just under the screen is two buttons, which control the menu system and to toggle its voltage or wattage. Just under the two buttons is the power/fire button. The buttons are rubber, red (can be had in various colors) and are very clicky. Separating the top portion of the device is another set of lines where you would think it would split into, it doesn’t. Below that section is the extender tube, which can be removed to pair the device with other battery sizes. On the bottom of the Vamo APV, you have a bottom cap that can be removed to insert your battery. The bottom cap sports 4 lines to add to the design mentioned earlier and under it sits 1 vent hole. eGo 510 Connector/Drip Well: The connector is nice with smooth threading on the 510 connection. It being an eGo style connector allows for you to use your recessed type CE type tanks/clearomizers as well as something like an eGo cone. The drip well is very deep, but there is no top cap to take off, so it may be a hassle to clean out with the little room. OLED Screen: The blue lit OLED screen is very bright and easy to read, but the lens covering it seems a bit cheap and isn’t placed on the device correctly. Buttons: The rubber buttons on the Vamo are sized and positioned well on the device giving enough space between the three. The buttons are very clicky and has a nice feel to them due to them being rubber. Menu System: Menu system may not be the best term to describe this – more like button sequences. On / Off: Press the fire/power button 5 times quickly to power on the device. To turn the device off, again press the fire/power button 5 times quickly. Check Resistance: Press and hold the right button (up button) for 3 seconds. The resistance will display for 5 seconds. Check Remaining Battery Voltage: Press and hold the left button (down button) for 3 seconds. The battery voltage will display for 5 seconds. Change Between Voltage and Wattage: Press and hold the left and right button at the same time for 5 seconds to switch to variable voltage or variable wattage. Extension Tube: The extension tube is awesome. 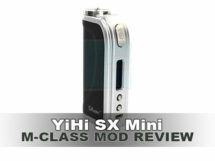 It allows for you to use a combination of battery sizes as well as turning the Vamo into a ‘mini’. The threading on the extension piece is smooth. Bottom Cap: The bottom cap is small, light weight and the threading (just like on the extension piece) is smooth. The vent hole on the bottom of the cap is very small, but there. The Vamo is a great and well-functioning device. The menu system (aka button sequence) isn’t complicated and allows for quick and easy changes to the device. Although every functioning part screams simple, in reality it’s a very advanced experience. 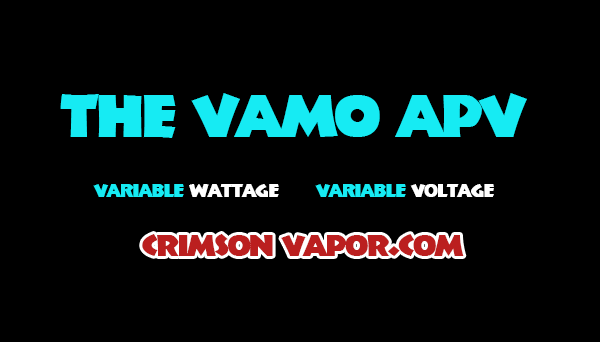 Variable Voltage: Adjust the voltage output of the Vamo APV from 3.0 to 6.0 volts in .1 volt increments. 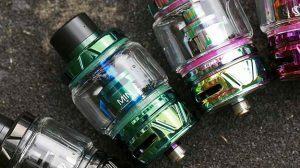 Variable Wattage: Set the preferred wattage (from 3 to 15 watts) and the APV will adjust the voltage automatically no matter what atomizer you use. Battery Choices: Power adjustment isn’t the only customizable feature of the Vamo APV. You may also choose from several battery configurations. 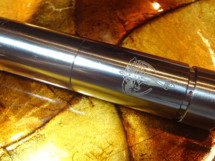 The Vamo can use a single 18650, or two 18350 IMR batteries, (both the Flat Top and Button Top work). 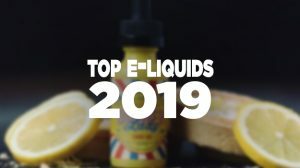 If you want a smaller option, remove the tube extension section and use a single 18350 battery for an ultra-compact advanced personal vaporizer. Compatibility: The Vamo features a 510/eGo connection. 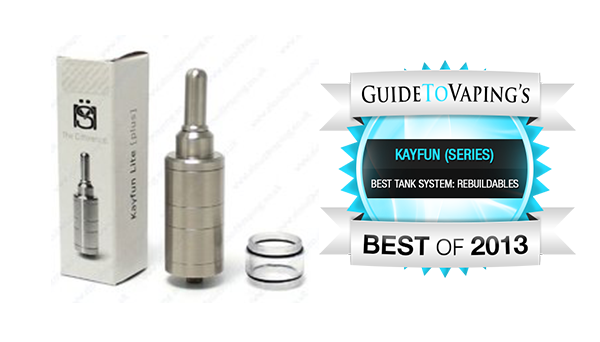 Like other APVs on the market, the Vamo has the eGo cone threads in addition to the 510 battery connector threads. This type of connection is now commonly being used on advanced personal vaporizers. 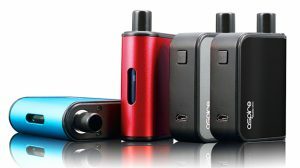 Crimson Vapor has the Vamo Kit at a sale price for $89.95, which I feel is a fantastic price for all that you get. Not only is the device very advanced with its multiple battery options, but its internal features are great too. On top of the Vamo device itself, you also get this new device in a complete kit. Conclusion: The Vamo is a well-built (very stout) and advanced device. The features are nice, it produces a great amount of power and the ability to shorten the device is awesome. All the parts and internal workings function near perfect and the pricing is low enough to give you a big bang for your buck. For those looking to get into the world of advanced personal vaporizers, I definitely recommend giving the Vamo a try.